With so many options available on the market today, you might find it overwhelming to find the perfect one. The problem might be that you do not fit into just one category. A hybrid model is one that is made up of a combination of materials, most commonly these days – a combination of innerspring coils and foam and / or latex. These mattresses were designed to provide the benefits of both foam or latex and innerspring coil mattresses to meet the need of sleepers who want the features of of the various materials in the same model. 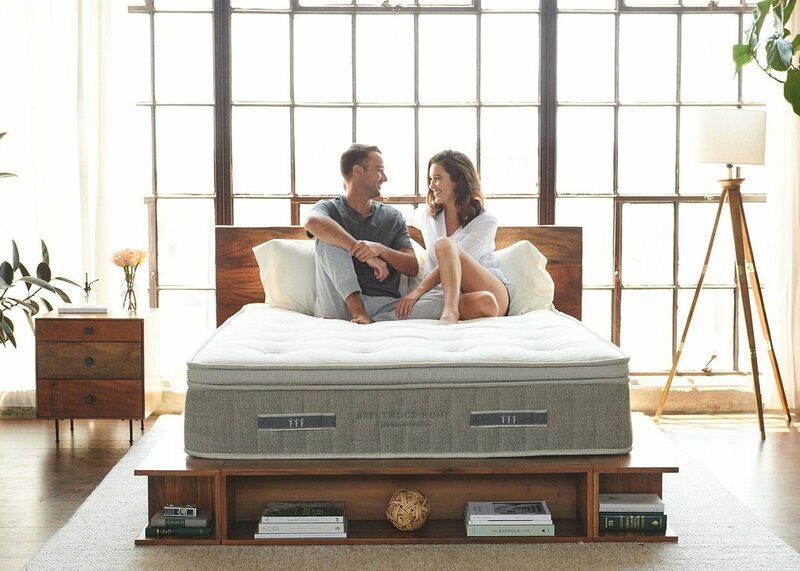 It is commonly known that bounce and support characterize innerspring/coil mattresses while contour and alleviation of pressure are known benefits of memory foam mattresses. These two types are very much different, however, as innerspring coils provide the typical “lift” feeling to it, while memory foam offers the signature “give” feeling. Hence, combining their characteristics delivers the best of each material, which is the perfect combination of the comfort and support. Adding in the features and benefits of latex also delivers a third type of combination, and even taking this further – combining all three provides a model with a feel that often meets the needs of a wide variety of sleepers that the individual types often can’t deliver. 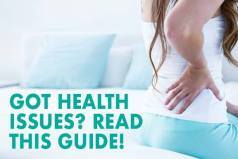 Firmness – You want to choose the firmness based on your favorite sleeping position as well as personal preference. A softer model is perfect for side sleepers, while a medium-firm product is fit for back sleepers. 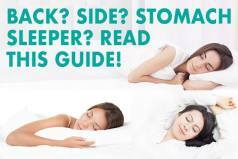 A firm option is required for stomach sleepers to keep an aligned spine. Construction – There are different layers that comprise a mattress. The body’s contour is adjusted by memory foam products, while bounce and support are features of both latex and for innerspring mattresses. All of these advantages are offered by hybrids, which combine these materials in the same model. Regulation of Temperature – Innerspring mattresses and latex models sleep cooler compared to memory foam mattresses in general. 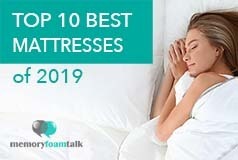 A memory foam model infused with gel foam can help regulate body temperature as the material wicks heat away from the body, as does materials such as organic cotton, and wool – which are often combined with latex mattresses. Off-gassing – A chemical-like smell is produced by memory foam mattresses when compressed in a box and shipped. A hybrid made up of latex and springs helps prevent this by not containing foam. Warranty – Most manufacturers offer ten-year warranties. This is the most common length of time that manufacturers offer. Some manufacturers these days, however, offer 25 years or more in terms of warranty. The DreamCloud Sleep hybrid mattress is a super premium, 15″ thick hybrid mattress made up of a variety of different materials: individually wrapped coils, memory foam, latex, with a soft cashmere cover and very high quality design. DreamCloud Sleep has created a premium foam, latex, and coil based hybrid model that combines the best features of memory foam and latex with innerspring coil technology in a product that is supportive yet very comfortable and sleeps cool. The DreamCloud hybrid mattress comes in Medium firmness, (which we rate around a 6/7 out of 10 – 10 being firmest). The company sells an adjustable base as well, and is brought to you by the same company that introduced the highly successful Nectar mattress. The Voila provides a great mix of comfort and responsiveness from the use of multiple foam layers and layers of latex, and pocketed coils. The use of pocketed coils provides great support for heavier sleepers and couples as well, and with the Voila you cannot tell there are even coils in the construction they are embedded so deep within the support layer. The good news is that Voila provides a 100-night trial period, free shipping, and allows sleepers to return it if they are not fully satisfied. The Voila comes in a variety of different firmness options too, which is a great for providing a choice of firmness. If you’re seeking a mattress with lots of bounce, you can never go wrong with the Voila. It offers all night foam comfort thanks to comfort layers and has little smell. The 12″ Plush model is around a 5 out of 10, with 10 being the firmest. The 10″ Firm model is around a 7-8 out of 10, with 10 being the firmest. Sleepers also find it durable and cool to sleep on while providing pressure relief on painful pressure points. The Voila regulates heat due to the gel and latex foam on top of the layers dispersing heat and moisture, keeping it cool all night. The Brentwood Home model is a luxury all natural latex and coil hybrid that was recently just released by Brentwood Home. The Cedar is a very high quality hybrid model that uses all natural Dunlop latex, New Zealand wool, organic cotton, organic coconut husks, and high quality individually wrapped coil spring construction. The Cedar has very high quality craftsmanship and is a great mattress for those wanting an all natural hybrid. The 13” Brentwood Home Cedar is a hybrid model composed of latex, organic cotton and pocketed coils. It is composed of various layers of latex, coils, wool, and cotton. On the firmness scale from 1-10 with 10 being the firmest, the Cedar is rated at around a 6. There is a good degree of responsiveness and a degree of bounce due to the latex and coil spring design, and this natural hybrid is a great choice for couples who want an all natural model and the benefits of latex and coil construction.